You are currently browsing the archive for the Support category. We’re on the verge of a breakthrough! Looking over the past year, we can’t help but be overjoyed at the opportunities that God has opened to us. We’ve seen the first floor structure of a new Bible School building constructed, lives touched and restored through evangelistic outreach, believers strengthened through the implementation of systematic discipleship, and new areas opened to the gospel through the introduction of the Jesus Film in the Maya language. Still, we’re even more encouraged about what the future holds. There is the feeling that we are on the verge of a breakthrough here in the Yucatán. Bold steps are being taken to bring about church growth. Our district superintendent has stated that his goal over the next two years is to see 100 new churches planted and 100 ministers trained in order to guide these new works. We’re excited about the possibilities of coming alongside our superintendent to help attain that goal. There is a renewed emphasis on removing obstacles to the gospel as well. 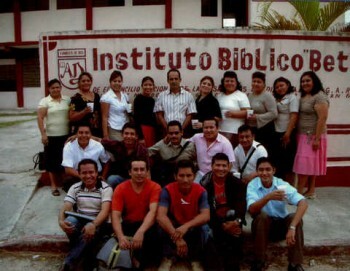 We are moving forward with the Jesus Film Church Planting Strategy to remove the language barrier for those who don’t speak Spanish, and we are planning to attack the obstacle of drug and alcohol addiction through the resource and networking of two drug and alcohol rehabilitation centers utilizing Teen Challenge materials and strategies. The possibilities are too amazing to imagine! 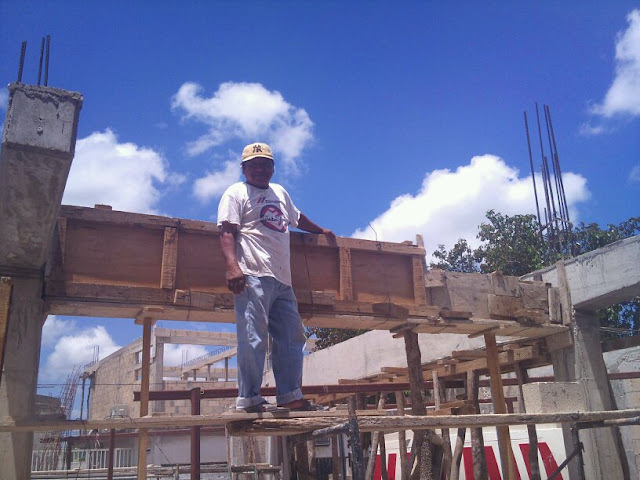 What could it mean to the Yucatán to have one hundred new churches with trained pastors able to reach into even the most dire situations and declare the hope of Jesus, leading the lost along a sure path to restoration? However, even as we ready ourselves to leap into the New Year and the new opportunities that God has opened to us, we find the reality of resources holding us back. As we write to you, we face a shortage of funds in our missionary account. If trends continue, our cash reserve will be depleted in a few short months, forcing us to drastically curtail our ministry expenses and perhaps watch as these amazing opportunities pass us by. That’s why I’m making this appeal to you, not to ask you to “bail us out,” because we know that God is faithful to meet even the most overwhelming needs. Rather, we are asking for what might be credited to your account (Phil. 4:17). As you choose to invest in what God is doing in the Yucatán, you take an active part the advancement of the Kingdom of God although you can’t be physically present. 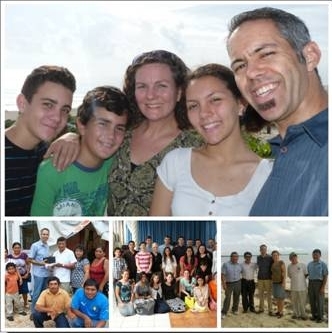 We believe that God will work miracles of salvation and restoration here in Mexico and we want you to be a part of it. As you plan your year end giving, would consider sending us a special gift? Your donation of any amount is your investment in the fertile ground of the Yucatán. Furthermore, it’s your active participation in what God is doing as He advances His Kingdom. 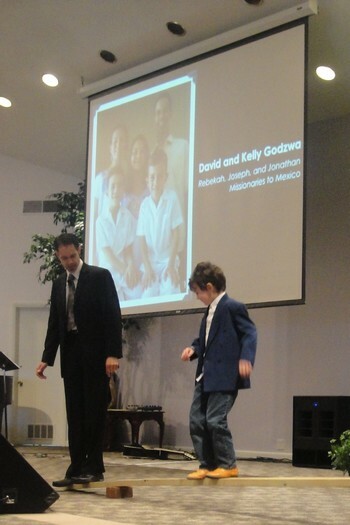 Donate to David and Kelly Godzwa, Missionary Account # 269613. I don’t like goodbyes. But ever since we got back from the World Missions Summit 2, we’ve been receiving reminders that our present time on the field is winding down. It started at our home church where, during a planning meeting, I had to step down as coordinator of the Missions and Evangelism Team because I would not be able to finish out the year. Following that, I finished out the semester at the Bible Institute and was thrown a touching going-away party from my evangelism students. When I finally got over that reality, my itineration packet arrived detailing the steps that we need to take to return to the States. So it’s real; our stay here in Mexico is coming to an end, but one thing is for certain, our call is for a lifetime. Yes, our cycle may be coming up but our career has only begun. So, I’ve been reflecting on our time here, but I’ve also been thinking about the future and our on-going work here in Mexico. We are returning to the States, but our stay will be limited because our call, and our heart remains here in Mexico. Yes we are saying our goodbyes, but our goal in the remaining months is to strengthen the relationships that we have formed in order to begin our new term in 2010 with a running start. Concerning our return to the US, our desire is to immerse ourselves in our itineration, utilizing a broad array of means available to reconnect with current supporters and welcome new friends who would like to partner with us as we continue our work in Mexico. 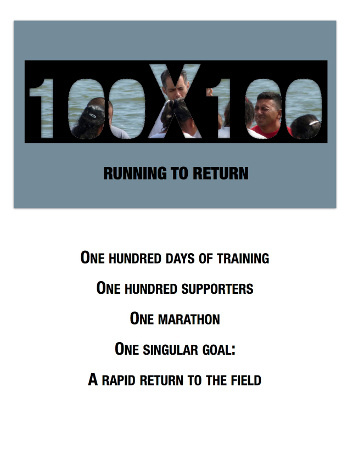 If you’ve been keeping an eye on the sidebar of our website, you’ve seen that one of those means of generating excitement and raising awareness for our work will be the running of Marathon for Mexico 2. Last itineration cycle, I ran the Springfield Marathon, raising funds to help us get to the field faster. Recently, I’ve been blogging about my recent weight loss and my training for the Bass Pro Marathon which will take place on November 8th of this year. It’s our desire that this marathon will serve as an even bigger part of our support-raising effort, so keep an eye on our Marathon Page for more information and updates. Our missions organization, Assemblies of God World Missions (AGWM), promote a missions policy that seeks to create and nurture an indigenous national church. Therefore, we as missionaries are charged with the task of forming or motivating national churches that are to be self-propagating, self-governing, and self-supporting. What does this mean you ask? 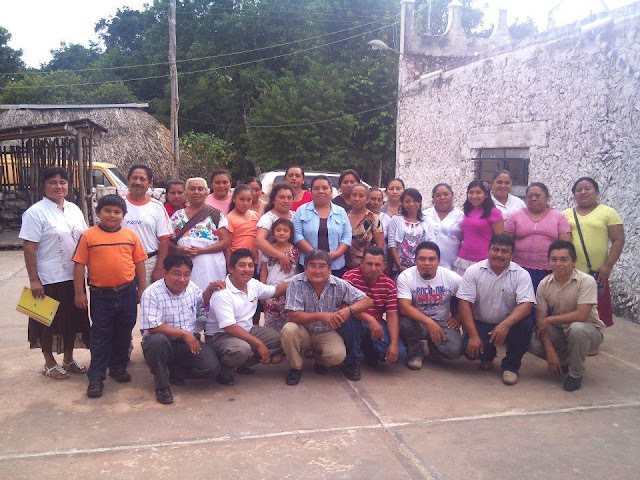 Simply, our job is to partner with the church in Mexico–working, modeling, and training, so that they can, with their own people and resources, evangelize the lost and disciple new believers, administrate the work, and fund the church. If you noticed, the order is intentional. Often, a new work moves forward quickly in the area of propagation. New believers are eager to share with others about the new-found freedom that they have in Christ. Leaders are harder to come by. Time and training are required to cultivate those who would guide the fledgling work. Still more challenging though is reaching the point of self-support. In developing countries like Mexico wages are low (the minimum wage here in Mérida is $5 a day), and the requirements of ministry can be quite high, especially if the church wishes to take an active part in evangelization and outreach to the community in which it is located. Therefore, missionaries often find themselves called upon to lend a hand when it comes to stimulating the work. This is the reason that I am writing today. Our home church is in need of a helping hand to meet its needs as it expands to reach out to the community. 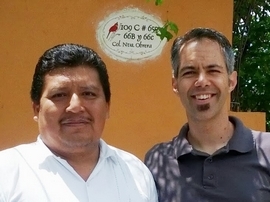 Pastored by Orlando Vazquez, El Centro Cristiano Gólgota, is located in a strategic area of the city, but it’s current size is affecting its ability to minister effectively. Therefore, the church has been expanding its facilities to keep pace with its vision. 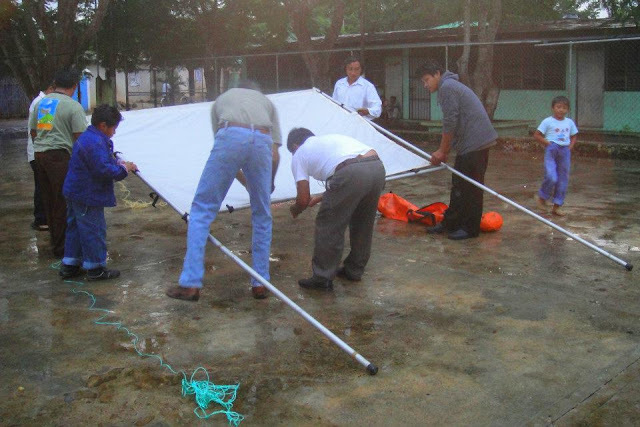 The $55,000 expansion began in mid-April with about $10,000, not even a fifth of the required need, but, through the sacrifice of the congregation and the response of friends and the community, Gólgota has finished walling in, roofing and is currently using the lower portion of the expansion where the sanctuary sits. It indeed has been a blessing to see the response of the people as they have challenged themselves to move forward. Still, about half of the work remains, including classrooms to minister to the bulging children’s Sunday School classes. That’s where we are asking you to consider pitching in. Kelly and I have seen the kind of contagious motivation and sacrifice that the congregation has displayed, and we would like to offer you a chance to participate. So we have created, as a project with AGWM, a fund in order to receive offerings from those who would like to help Pastor Orlando fulfill his dream of seeing the church built.